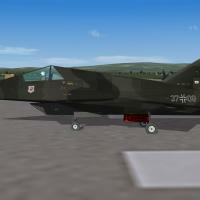 This model is for Strike fighters2 series. It is a free add on and as such cannot be modded without permission. Latest patch July12,and latest weapons pack,tho latter isnt essential. hope you enjoy it as much as I did making this model. Sounds...choose 1 of 2 files. 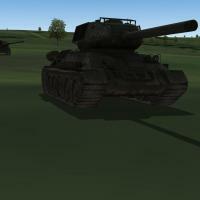 Centreline tank...part of 3d model. Includes the edited slow and fast props . added new layers for panels rivets and common decals. any older skins will need to be modified with new templates...Soon! This model is free and cannot be altered without permission(3d model) unless requested,if modded,via ini files etc,all I ask is credit,where credits due. This add on cannot be used for financial gain. This aircraft as far as I know did fly but I havent seen anything recent .. This aircraft is NOT compatible with SFP2..But can be edited to fly in that version.. 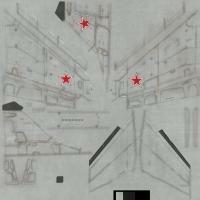 Even though this is a stealth a\c,I couldnt find any info on internal missile bays so it carries external,jettisionable pylons,and a cannon that deploys\detracts automatically,when the fire button is depressed...keeping in the stealthy mode.. I hope you enjoy this model..
Tri-Green JG-71 euro camo for the Firefly..
Drop folder into the MBB main folder.. Toned down some parts as they were too Bright.IE: Tyres,wells etc. added some missing base decals. bmps and dds files all now jpegs. Just drop contents into your mod folder and overwrite,if you have old version,delete it first,as this pack has all updates etc. but you can alter it to any unit you prefer. I think ive done everything,if not contact me via CA. new a\c for Chines Navy "Fighting Sharks"...just like their naval cousins the SU-33 Scheme. Just to ensure operation,use weaps editor to make sure they are installed after adding the new aircraft folders etc etc. 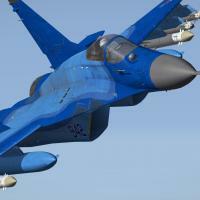 Hope you enjoy flying these as I did in modding the fine Migfactory Mig29`s..
all inis are basically TW but adapted by me. copied stock data etc but renamed to avoid conflict.......works ok in game...after having a few mesh probs...(high poly count) fixed. 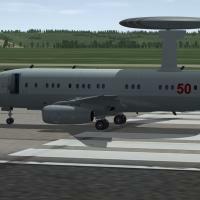 Having seen this nice Russian commercial jet I thought...could be a good platform for airborne early warning..
and it seems to me,to look the part. I adapted the 3d model to what we have here.See bottom for original creator credits for model and some textures and Templates. I had to fiddle with some mapping etc as it wasnt perfect...it still isnt,could do with higher res template,but I didnt do more,otherwise I would have done.a full remake,and thats time I havent got. added model cockpit area,new glass etc. Cockpit could use a grey repaint..ive no time to...if you like to paint it,please do and share with others ...thanks if you do this. Canopyglass updated,and added explosive charge lines to canopy glass. and fixed small mapping error. also if your data.ini is different from contained txt just alter it with the new entry..
this is for the old hawk T1a...until I complete the new ones. uses new shadow method.no shd file needed. 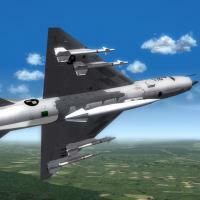 includes fixes by e to model...and kevs pak called"t45_goshawk_pak." Thanks kev for the tweaks.. Representing Ukranian Air Force Mig29C Of 9th IAB circa 2006. In Pilotdata folder is an entry for this a\c sqd,you need to open original,copy n paste this entry,alter number to suit and save your Squadrons.lst. Same goes for the Nations,(unless you have the Ukrain already)..open Flight folder,then copy n paste the entry supplied,to your nations.ini,alter again numbers to suit,then save,and close. 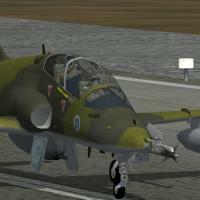 I have a few other skins planned that this LOD will use,so keep eye on Combatace for updates. 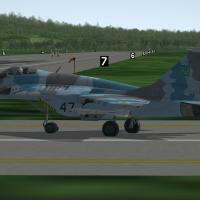 Special thanks to TOPOLO for his Mig-29 Falcon's Datas. Mig-29C of Czech air force. THIS PACK IS FREEWARE AND SHALL NOT BE USED OTHERWISE. Thnx to Dast for cockpit mods. 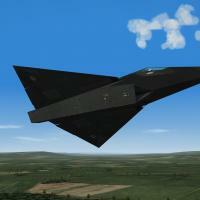 or use in an existing French Jaguar A Sqd folder. contains just the 5 bmps in des pink. A LA Jaguar A original credits below. The basic textures,skins and decals by Tom Venom and Sony Tuckson. This pack contains some updates to 3d model,and skins (SKINS ARE THIRD PARTY AND ORIGINALLY THE CREATORS WORK,AND NOT MY WORK) I only added a few textures to the templates.for. adapted and edited by me...Russouk2004. Fixed some texture issues...though remapping the front fuselage would be too big a job,and would have meant,a full set of new textures,and that wasnt the intent of this mod. Turbine fans animated,some animation slots new.or altered. 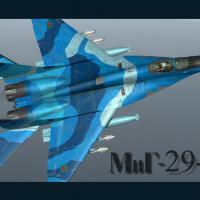 Mig-29A_RUS This one has wingtanks on 3d model...and seperate LOD...in 7z file aswell as in folder,as backup. Each folder contains ONLY Data.ini,and skin folders. (with teaxtures,dedal.ini,texture.ini,Numbers.LST,(and some) patch.bmp. Included too are 2 folders..
bumpmap jpegs,and other tga`s for..
are f4 damage tga`s..common to ALL versions. 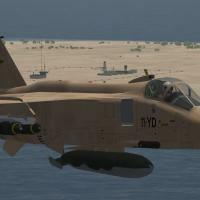 1st,check you have the aircraft (skinsets)listed..if not,download them at CA..If I recall,most of these are in the TMF 29A pack. either delete the files you have that you want to replace...or copy and paste and allow to overwrite,remember to back up originals. I take no responsibility if you lose any of your items. Ive taken a few trail and errors,and some hours checking the aircraft to make sure ive not forgotten anything...if you find anything ive missed...let me know at CA.. I am NOT claiming any or part therof, creation of skins in the pack,they are solely the creators own work..I have only altered the base textures and lines rivets etc...sundowner and TMF did. None of the skins attached were made by me. I suggest you read the readme supplied with the skins involved.if supplied. Credit to the guys involved in its creation.. This will only work with the K version as ive altered a lot of the 3d model and old template.....panel lines rivets etc are new.Plus a few additions such as Arrestor hook etc. if applied to old A,G etc models it will look wrong. Z file contains 2 folders..as the 3d model differs slightly. 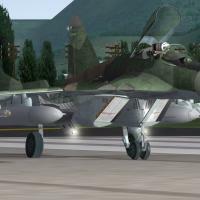 Brake chute and afterburner effect for the Mirage Factory Mig29 series A,G,S and N models...and\or any that use the Mig29A LOD. 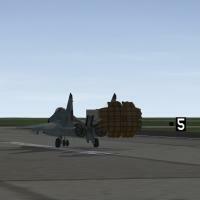 Drop Mig-29A.LOD in the folder you want the chute enabled in.Backup the original first. 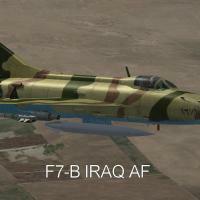 Put the tga`s in main mig29 folder. Bf109E-3 "Yellow one"..Flown by Joseph Priller of 6/JG51,Autumn 1940.
http://combatace.com/topic/78173-bf109e-3/ and 2 later updates..
Open archive to desktop etc...Drop Objects folder, into your WW2 main mod folder and allow to overwrite\merge folders. Add data,supplied in "Add to sqd list.txt" for squadronlist.ini,in your pilotdata folder and entry in the BF109E-3.ini,add that to yours ,into your main BF109E-3.ini to get skin to show. drop folders into your BF109E-3 folder in your WW2 mod or appropriate mod of your choice main folder,allow to overwrite,or backup first if you want to change back later. I wont be responsible for anything you may lose. 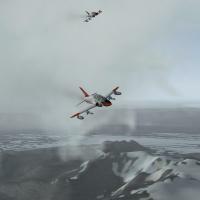 just put folders in your main mod folder,...objects\ pilot... folder and add to data.ini of thw WW2 a\c you want them in.